One (1) SLT module type 8526485 with four, black plastic connectors along the left side of the black plastic carrier. All four connectors are marked "8526485 A 8 937 76"." The substrate is covered on both sides by a gridded field of square-shaped solder marks. 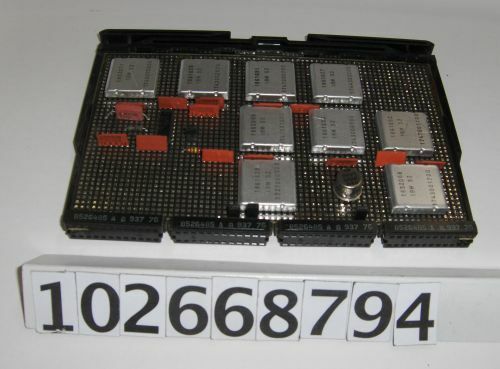 The obverse-side of the module has various components parts attached, which include nine, silver tone, square IBM 52 components, each with a unique 7-digit number printed along top. The reverse-side of the substrate shows only the solder-grid described above. The right-side of the carrier has two stickers attached that read "3019 01A A1 C2 743" and "C."